Last year, I called Latitude the best festival in the country, and so as you might imagine, it was high on my list of priorities for 2016. Set in the picturesque setting of Henham Park in Suffolk, Latitude Festival is a three-day all-out celebration of the arts, and despite music being the initial drawing point, it certainly isn’t the only string to this festival’s bow. Boasting an as-impressive lineup in every avenue of the arts, Latitude is so much more than some stages in a field. Featuring world-class talent from the world of music, stand-up comedy, poetry, literature, cabaret and more, Latitude is one of the most all-encompassing festivals out there. Musically, Latitude continues to blur the lines between indie and undiscovered, to popular and well-established. Acts booked into this year’s event include headliners The Maccabees, The National and New Order, as well as synth-pop trio CHVRCHES, new-wave veterans Squeeze, french duo M83, renowned remixer DJs Soulwax, and indie folk-poppers Of Monsters And Men. Other acts worth raving about include Slaves, Koreless, Michael Kiwanuka, Honne, and Chet Faker. As I touched upon, Latitude is so much more than the music, and in particular, this year’s comedy lineup as impressive as, if not better than those on offer at The Apollo. The toppers of the weekend include Russell Howard, Josh Widdicome, Al Murray and Reggie Watts. 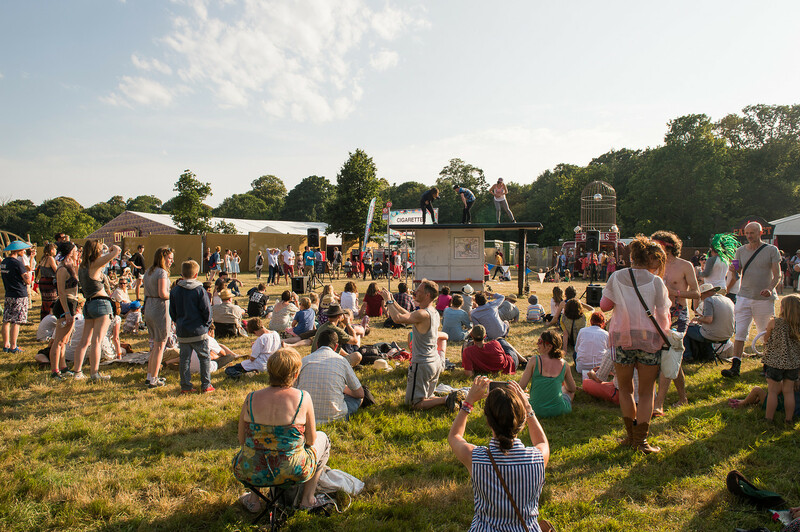 But that’s not all, poetry, literature, debate, discussion and deliberation are also all paramount at Latitude. This year there are an array of special guests set to make appearances at Henham Park, from Will Hutton, to Henry Normal, to one of my personal favourites- Louis Theroux, in conversation with Adam Buxton. Make sure you also don’t miss out on the London Contemporary Orchestra, who will be most notably be presenting works from Radiohead’s Jonny Greenwood. Latitude really is one of the best festivals around, and its 11th instalment looks to continue that reputation. The musical lineup alone was reason enough to cart yourself off to the beautiful Suffolk countryside, but with such a complete celebration of the arts, all under one all-encompassing weekend, make sure you grab your ticket as soon as you can.